BUDGET - Romania's 2019 draft budget is presented for adoption in Government session today, the Finance Minister Eugen Teodorovici has announced. He has stated that the document provides for significantly more money for investments, health-care and education. Also, the draft budget stipulates the allocation of 2% of the GDP for defence, in keeping with Romania's commitment to its partners in the North-Atlantic Alliance. Also, the necessary funds are secured for increasing pensions by 15%, as of September this year, as well as significant budgets for the local administration. The draft budget, criticized by the right-wing opposition, was built on an estimated 5.5% economic growth rate, an inflation rate of 2.8% and a deficit of 2.5% of the GDP. JHA - An informal meeting of the Justice and Home Affairs Council continues in Bucharest, focusing on justice. Today's agenda includes topics such as means of boosting judicial cooperation in civil and commercial matters and obtaining electronic evidence in criminal cases. The talks are chaired by the Romanian Justice Minister Tudorel Toader, who has announced that another topic of discussion is the functioning of the European Public Prosecutor's Office. Competing for the position of head of this office are three candidates, including the former head of the Romanian National Anticorruption Directorate, Laura Codruta Kovesi. On Thursday, the participants approached the issues of terrorism, police cooperation, the Schengen Area and migration. VENEZUELA - Romania's President Klaus Iohannis has decided to recognize Juan Guaido as interim president of Venezuela, the Presidential Administration announced on Friday. Klaus Iohannis believes that, as Romania is currently holding the Presidency of the EU Council and against the background of an increasing dynamics of international developments, Romania must have fast and well-grounded reactions with regard to foreign policy issues, in keeping with the main priorities it has constantly related to on long term. The US, Canada and most countries in the EU and Latin America have voiced support for Guaido. On Saturday, at a UN Security Council meeting, President Nicolas Maduro was supported by China and Russia. Maduro has rejected the calls for new elections made by the US, Canada, the EU and the Latin American countries. CORRUPTION - Radu Mazare, the former mayor of the Romanian Black Sea Port of Constanta, has received a final 9 year prison sentence issued by the High Court of Cassation and Justice, in a case involving illegal return and assignment of plots of land in the vicinity of beach areas in the county. Mazare will not serve his sentence, though, as he has fled to Madagascar. The former Social Democratic president of the Constanta County Council, Nicusor Constantinescu, and the former financier of the Dinamo Football Club, Cristian Borcea, have also received sentences in the same case. According to investigators, state's assets were illegally deprived of large plots of land, worth some 114 million Euros. CENTRAL BANK - On February 12th, the board of the Romanian Central Bank will be heard in Parliament, the Central Bank Governor Mugur Isarescu has announced. He has stated that the Senate's Budget and Finance Committee had sent the invitation some time ago, but the meeting could not be held, as there were points that needed clarification. Mugur Isarescu also declined an invitation to a hearing on Thursday, as it overlapped with the Board's meeting on monetary policy. DEVESELU - The Russian Defense Ministry has urged the US to destroy the anti-missile shield in Romania, claiming the system violates the Intermediate-range Nuclear Forces (INF) treaty. The request was made after both the US and Russia announced their withdrawal from the treaty signed in 1987. In response, the Romanian Foreign Minister Teodor Melescanu has stated that the facility in Deveselu, in southern Romania, is purely defensive, and allegations that the base might be used to launch nuclear missiles are used by Russia to justify its own intention of building missiles that do not observe the INF treaty. In turn, US officials have stated that the US Administration has no intention of providing Europe with nuclear weapons, even if a potential termination of the INF treaty would allow it to develop new missiles. FLU - The number of people who have succumbed to the flu in Romania has reached 95, according to the latest information provided by the National Centre for Surveillance and Control of Communicable Diseases. The victims had all suffered from other diseases and had not been vaccinated against the virus. So far, some 1.3 million Romanians have got the anti-flu shot and the Health Ministry has purchased another 30,000 shots for people at risk: patients with chronic diseases, pregnant women, children and elderly.  Flu epidemic has been declared in Romania after the country registered three consecutive weeks of epidemic nature and the flu death toll increased.